This beautiful Kingwood TX poolside kitchen is a gorgeous accessory to any backyard, especially one with a pool. A poolside kitchen is a neccesity to turn any backyard into a luxurious paradise. 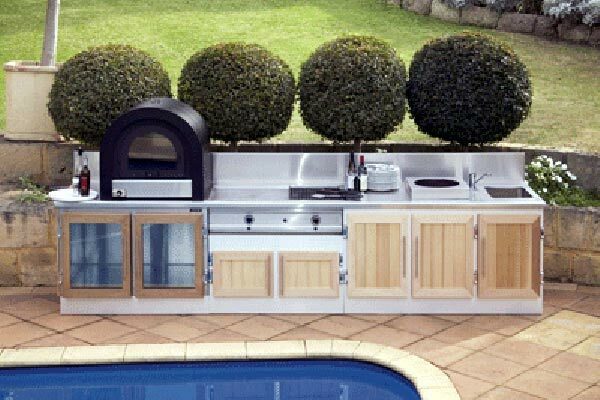 We construct all of our outdoor kitchens with the finest appliances and materials to guarantee quality and durability of our product. Customer satisfaction is what we strive for! Kingwood TX Poolside Kitchen… Why Not! Cook a meal for family and friends while the kids swim in the pool! You will wonder why you didn’t purchase a poolside kitchen sooner! We always guarantee our customer satisfaction 100%. We take great pride in our work on backyard and outdoor kitchens and we want to give our customers a great experience! Contact us today to start constructing your poolside kitchen at (832)409-3542. Your dream poolside kitchen can become a reality today!